Okay, we’re talking Kevin Shields this morning. If you know about My Bloody Valentine, you know they are the masters of creating sound-scapes. Kevin Shields is a true virtuoso of effects. I’ve been asked several times to feature his board, and frankly, I knew it was going to be a big task to get it together. Oddly, there aren’t many ‘recent’ photos of Kevin’s boards, but I did find some (that were posted several times in the past) by ZVex I believe. They are close ups of his three boards with a switching system. They were shot in 2008ish, so I’m sure much has changed since then. 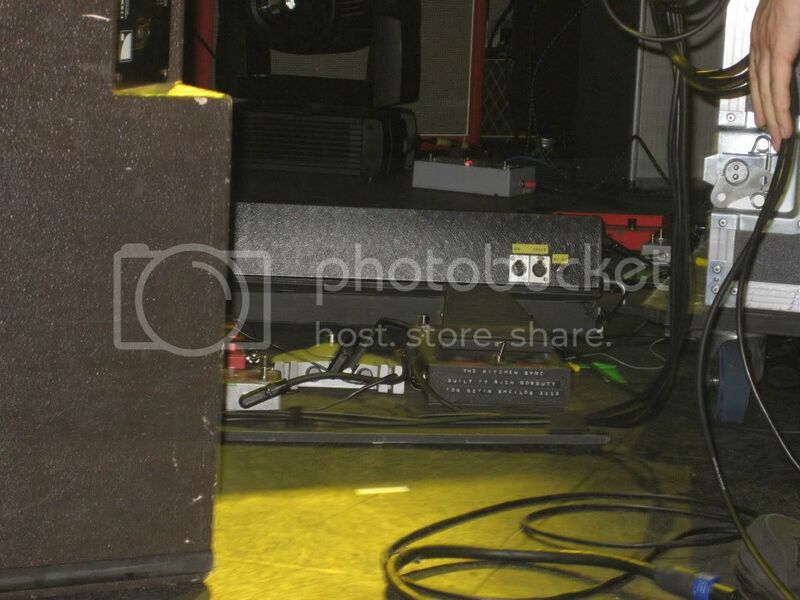 Like I mentioned, I saw these same photos over and over, but what I didn’t see was a complete listing of pedals. This is where you can come in. I think between myself and the EffectsBay community we can come up with a complete listing of those boards and have them available in this post. 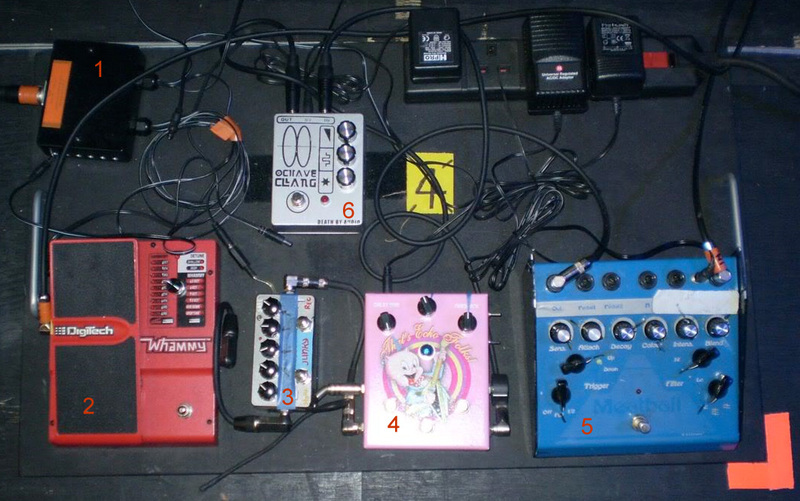 I added numbers to each photo so identifying the exact location of the pedal which should make it easier. If there is a unknown pedal and you know what it is, please email me or comment below and I’ll update the post. Here we go! Kevin’s primary board. It is important to note that these pedals are all controlled by a switching system (listed below). Click on the photo to see it larger. Phew. That was a lot to go over. 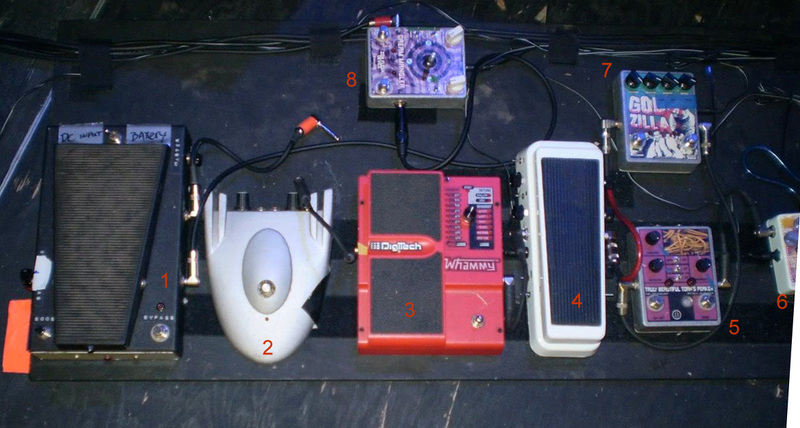 Like I mentioned above, if you can identify any of the missing pedals, please contact me or comment below! Thanks! Thanks! I added those to the lists! Much appreciated! 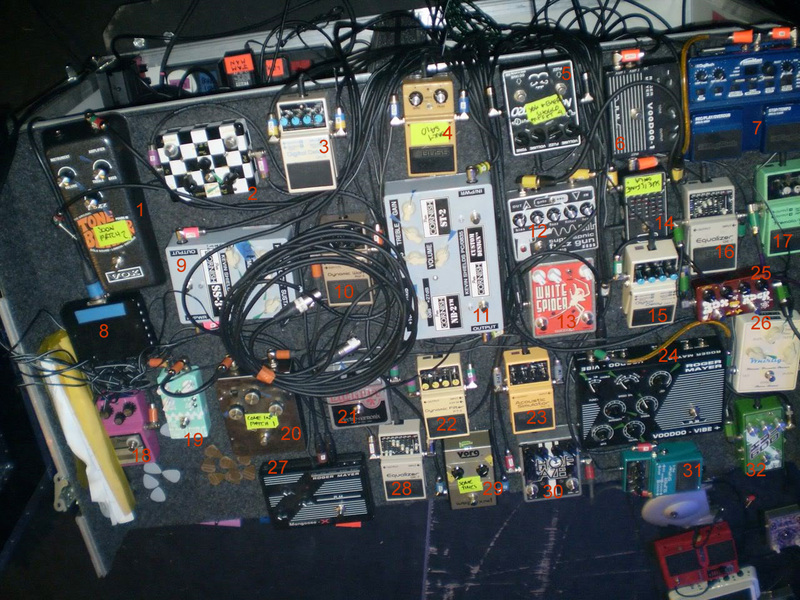 I desperately need to know where to find a list of the pedals Kevin Shields might have been using in the early 1990s. The above list is great, but I suspect a lot of these effects may be very recent products. I’m writing a novel in which a character has Shields-like set-up and I need the names of the pedals available then. I tried Googling but I keep getting pages like this, with the same picture and the same list. Can anyone help? You can mail me with the reply, and I would be so grateful. I love how he has 2 boss eq’s. He sure loves his Devi Ever! 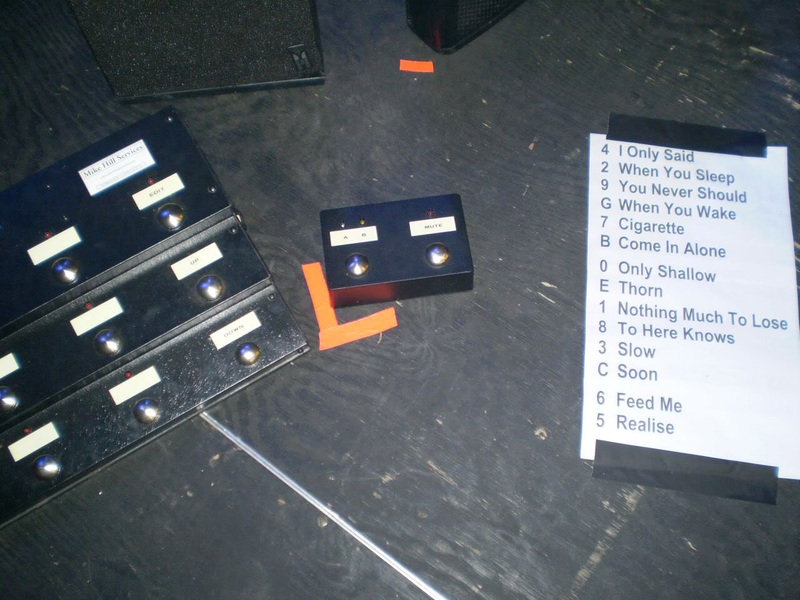 So many pedals for such boring music.